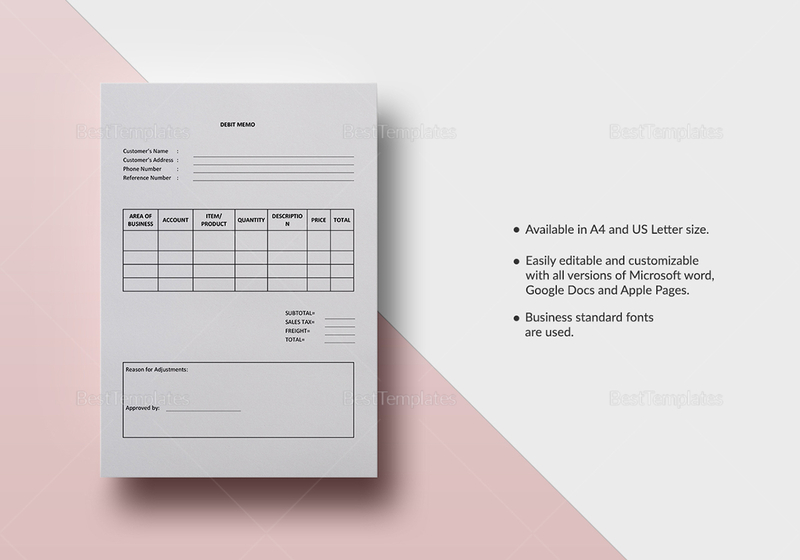 Here’s a debit memo template that is easy to use, can be instantly downloaded, and at an affordable price. Edit and customize this document with all versions of MS Word and Apple Pages. 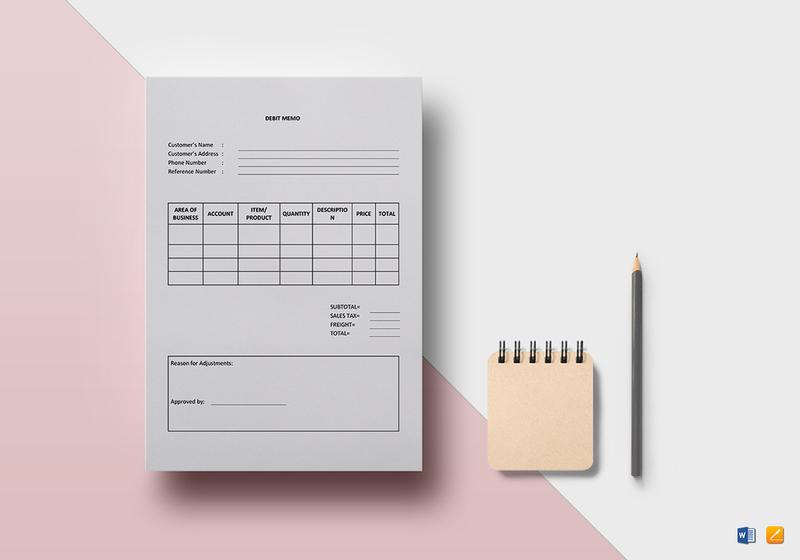 Print ready and perfectly suitable for personal as well as commercial printing. Share digitally with your email or other online platforms.